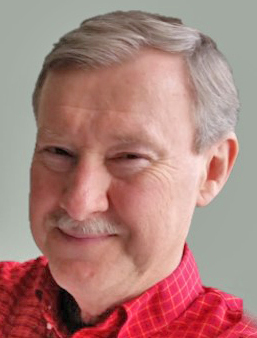 Waynesville - Jerry Bailey, formerly of Keswick, VA, died on Tuesday, April 2, 2019 at Mission Hospital in Asheville, NC. A memorial service will be held Saturday, April 13, at 2:00 pm at First Presbyterian Church in Waynesville. Jerry was born in Binghamton, NY on March 9, 1955. He graduated from Oglethorpe University, majoring in Political Science and was self-employed most of his life as a computer software developer. He was especially proud to be part of the team that developed "WordBuild", a unique vocabulary program, based on the principles of morphology, and used by thousands of students across the US and in several foreign countries. He was an Interim Director of Hospice of the Piedmont in Charlottesville and served on several boards, including Hospice and Habitat for Humanity of Greater Charlottesville, where he also served as Chairman. He sang in the choir, served as treasurer, and was a member of the Vestry at Grace Episcopal Church in Keswick, VA. He also sang in the choir at First Presbyterian and valued his friendships there. Jerry loved people and never met a stranger. He loved his family, Atlanta Braves baseball, and being a father and grandfather. His zest for life and passionate pursuit of the humor found in life's simple moments endeared him to all. Jerry is survived by his wife of 39 years, Kate; his sister Nancy; brothers Dave and Andy; son Ed; son Charlie and his wife Nikki; son Ben and his wife Whitney; and five beautiful, beloved grandchildren. Donations may be sent to the First Presbyterian Organ Fund, 305 N Main St, Waynesville, NC 28786, or Crabtree Iron Duff Vol. Fire Dept., 99 Susie Noland Rd., Clyde, NC 28721.